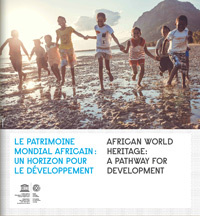 The World Heritage Centre is organizing, in collaboration with its partners, a travelling exhibition entitled “African World Heritage: a pathway for development”, which will be displayed on the railings of UNESCO Headquarters in Paris from 18 May to 14 June 2016 and will then be disseminated worldwide in digital format. The primary objective of this initiative is to raise awareness among State Parties and the general public on the importance of African heritage for the continent’s sustainable development and the key role of local communities in safeguarding heritage. The exhibition will feature some 50 photo-panels from 8 World Heritage sites located in the African continent. The photos are intended to illustrate the ways in which heritage conservation contributes to socio-economic and cultural development of Africa through various themes (sustainable towns, protection of the environment and biodiversity, cultural diversity, culture of peace, women’s role in heritage conservation, mobilization of young people in heritage safeguarding…. ).